The first Thursday of every month, Caffé Affogato “walks the talk” and donates ten percent of every purchase to the Peace and Justice Action League. Located in the Saranac Commons, Caffé Affogato fills the space with trendy tunes and smells of roasted coffee beans. The shop does more than provide nice ambience and brew coffee, however. The first Thursday of every month, Caffé Affogato “walks the talk” and donates ten percent of every purchase to the Peace and Justice Action League. Shahrokh Nikfar, owner of Caffé Affogato, has been a member of PJALS for 16 years and was eager to help the nonprofit. When Nikfar first started to work with Northwest Fair Housing Alliance in the Community Building, it was PJALS that made him feel especially welcomed and connected. The PJALS mission of building a nonviolent world at the community level perfectly aligns with Nikfar’s own background. Coming from Iran, peace and hospitality are deeply ingrained. So, Nikfar decided to help in the most direct way he could. Before the benefit days, he registered Caffé Affogato as member of PJALS and made a yearly donation. While still a generous gesture, it wasn’t quite the gesture Nikfar was envisioning. So, he opted for the monthly contributions that also engaged the greater community one cup of coffee at a time. Liz Moore, Director of PJALS, is very appreciative of his approach. For Moore, it’s more than a monetary donation--but a monthly reminder that the community is committed to serve PJALS, too. That reminder of support is priceless, says Moore. The benefit days generate support that you can see outside of a ledger. Every month, Moore recognizes members and other frequent supporters in line to grab an Americano or sweet treat. Moore’s office is right next door to the Saranac Commons, so she makes a point to stop by and visit with those familiar faces--and to get her caffeine fix, too.“It’s a win-win all around,” says Moore. 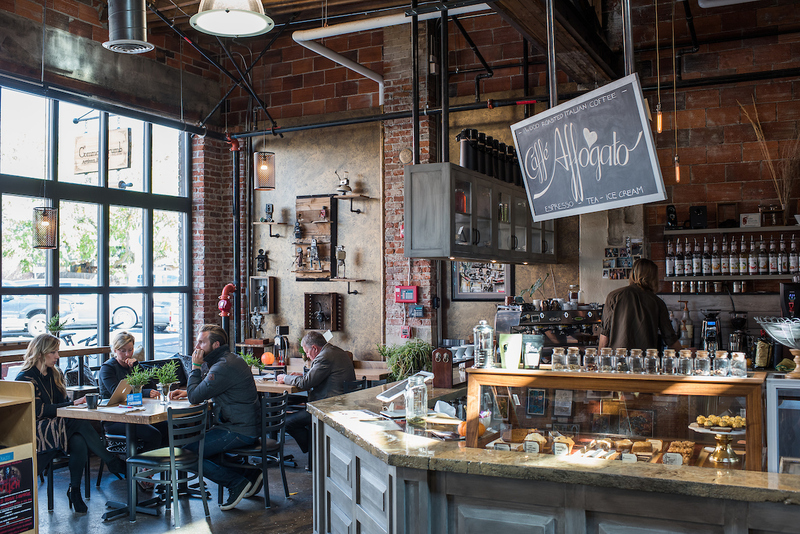 Caffé Affogato gives the broader community an enticing opportunity to give back to an organization that devotes itself to making Spokane a safer, more tolerant community for all. This September marks the year anniversary of PJALS benefit days, and Nikfar plans on hosting them for many years to come. But don’t worry if you missed this month’s PJALS benefit day. If you don’t want to wait a month to give back (and give in to your sweet tooth), Caffé Affogato has many other ways to pay the kindness forward. One such way is their Caffé Sospeso, or “Suspended Coffee.” These are drinks that can be claimed for free by less fortunate patrons, and are meant to brighten someone’s day. 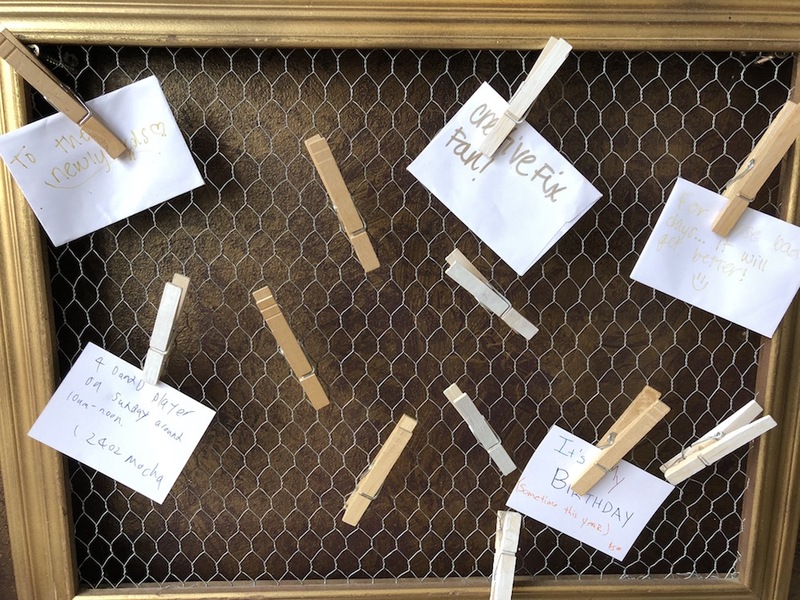 Helping is a simple as ordering a Caffé Sospeso, or adding a gift card to the “Pay it Forward” board. The principle is the same, but buyers have an opportunity to leave a little note. While selling and gifting delicious coffee is Caffé Affogato’s main mode of service, Nikfar insists that “It’s not about selling coffee. . . It’s about getting to know the many people like us. Everyone has a secret, a wish, or a quote they wish to share.” Directly below the board are 3 journals and a treasure chest. All those who wander into the Saranac Commons are welcome to read or write in the journals and drop notes into the box. Nikfar didn’t expect the journals and box to fill up so quickly, but isn’t surprised given how vibrant this community really is.